A Loss of Innocence explores our own humanity as we mature, become increasingly desensitized, and ultimately grow farther away from our incorruptibility as children. This being an individualistic style that lacks a classical order which in turn uses color to communicate feelings . 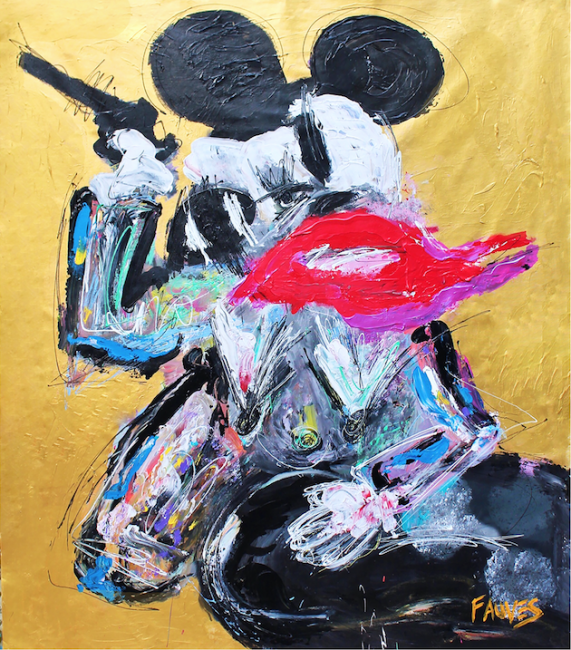 Expressionism is clearly my interpretation of Art.” I think that art is the expression of the soul.” In the ‘Mickey me’ collection, the artist represents the loss of innocence in the human being.